Visited URL events record when an anonymous visitor or HubSpot contact visits a specific URL on your website. Please note: events are only available in HubSpot Marketing Hub Enterprise accounts. Both Professional and Enterprise accounts have the ability to create lists based on visited URL, but only Enterprise accounts can create a visited URL event report. Select Visited URL as the Event type. Enter the URL you want to track visits to in the Page URL field. Please note: visited URL events can only be created and tracked on pages that have the HubSpot tracking code installed. 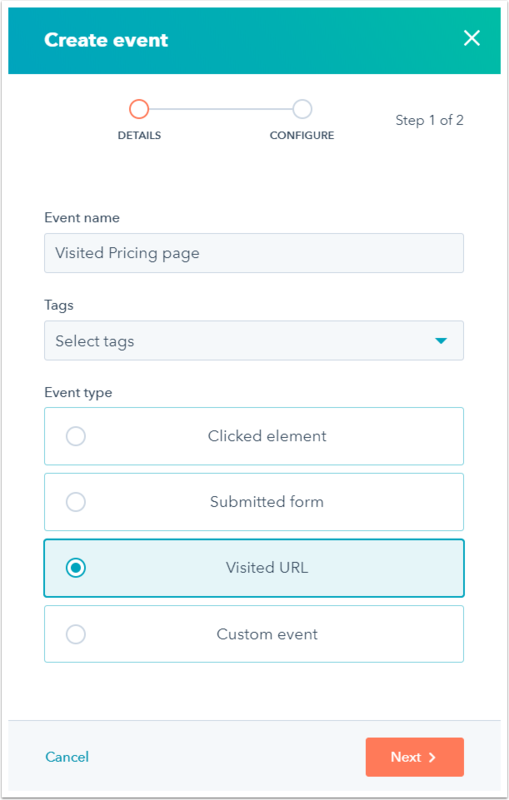 You can use wildcard characters in the page URL when creating a visited URL event. This allows you to track your event on a range of pages without explicitly defining each URL. Wildcards following a trailing slash will not include the original page URL. For example http://myblog.com/* will include any pages with subdirectories in the URL beyond myblog.com/, but will not include the page at myblog.com. If the wildcard is entered before the trailing slash, then it will include the original URL. For example, myblog.com* will include myblog.com/my-article and myblog.com. 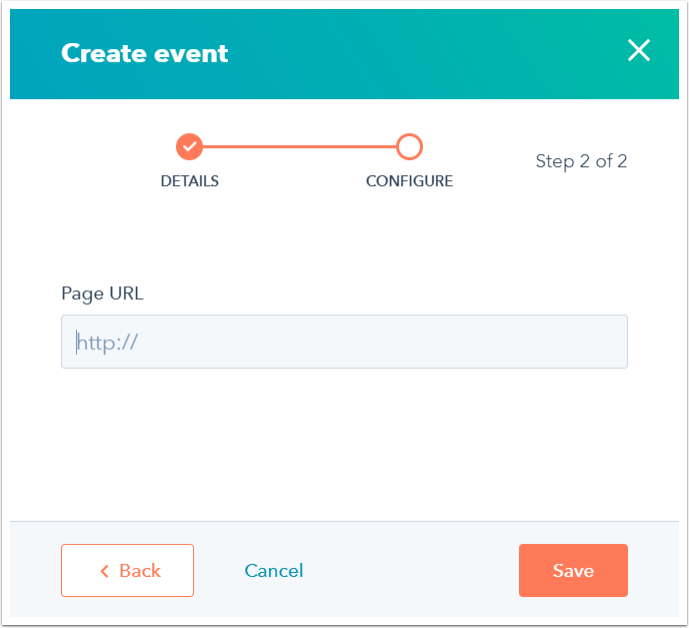 Click Save to finish creating your visited URL event.